The storming of the Bastille was a watershed moment in history. The attack on the symbol of the monarchy’s dictatorial rule was more than just a rising of an angry mob – it served as a rallying cry and event sample in 1798. 228 years later, inside this episode of 24, another storming of another bastion of security and perceived dictatorial rule is stormed. CTU – that’s right – the center hub of information security, covert anti-terrorist activity and intelligence is the centerpiece for MAYHEM! It’s time for another episode of The 24 Podcast – a complete, detailed and always educational review of each iteration of 24 on Fox, this time – 24: Legacy – Season 1, Hour 9 – 8pm-9pm – on The 2GuysTalking Podcast Network. — 2GuysTalkingHorror – a new focus on Frightening Franchises! Check it out! — A Call for Input: The All-Fan-Input Episode is coming up and we invite YOU to chime in and get your perspective heard! Fill out the form here and make your voice count! — What did YOU think of The Loop? Tell us now! — What did YOU think of the explosive moment in this episode? Tell us now! — What did YOU think of the twist during this episode? Tell us now! — What would YOU Rewind and Rewrite for this episode? Tell us now! — What would YOU connect people to via the Switchboard? Tell us now! — What did YOU rate this episode? Tell us now! Tell us what you think! It’s never too late to be an advertiser in this podcast, thanks to Perpetual Advertising! 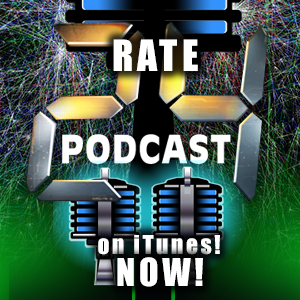 Contact The 24Podcast.Com now and learn more about why podcasting allows your advertising dollar to live across millions of future listeners – FOREVER! Tell us what you think and we’ll use your comments in a future ALL-FAN-INPUT Episode! Also remember that you can participate inside the best 24: Legacy Fans Facebook community now! 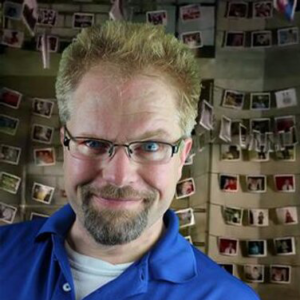 Mike Wilkerson is a former certified Sign Language Interpreter for the Deaf, now Marketing Automation Director for a large St. Louis-based Computer company and has been hosting, producing, concepting and enhancing podcasts for 13 years. While his interests are definitively pop culture-based, the bottom line is: It’s ALL About Perspective. Whether it’s being captured inside of one of Mike’s Podcast Capture Studios (based in St. Louis) inside the coming-soon “Micro Audio Podcast Capture Studios” (MPACS) or via The Podcast Bug: A 1974 custom Superbeetle with a recording studio built inside of it – Podcasting is Captured Perspective. Be sure to contact Mike with questions about podcasting, about the many programs he hosts or about the other programs that populate The 2GuysTalking Podcast Network. 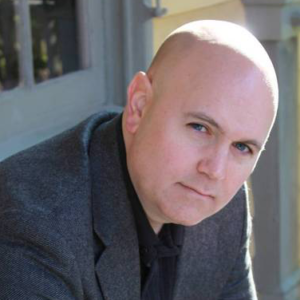 Chris DiGiuseppi is an award winning and local bestselling author from his first novel, The Light Bringer and has been traditionally published five times. Chris has over 20 years in Law Enforcement at various levels up to and including Assistant Chief of Police. He is a graduate of the FBI National Academy and Northwestern University School of Police Staff Command. He is trained in various aspects of Law Enforcement and holds degrees in Human Resources and Business Administration. Chris lives with his wife and children in Missouri.